NVIDIA Research is using artificial intelligence (AI) to enable breakthroughs in robotics that solve real-world problems in the kitchen. 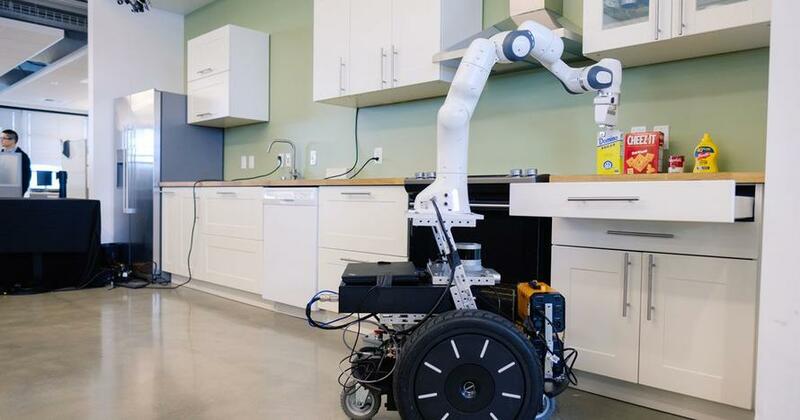 The new NVIDIA AI Robotics Research Lab in Seattle has recently debuted its ‘kitchen manipulator’ robot that uses AI to identify ingredients and completes cooking tasks. The goal of the lab is to develop the next generation of robots that can one-day cook meals from humans. Nvidia’s kitchen robot is one of several other robots in development at the semiconductor firm. "Collaborative robotics, we might even call it the holy grail of robotics right now," Nathan Ratliff, a distinguished researcher at Nvidia, explained. "It’s one of the most challenging environments to get these robots to operate around people and do helpful things in unstructured environments." 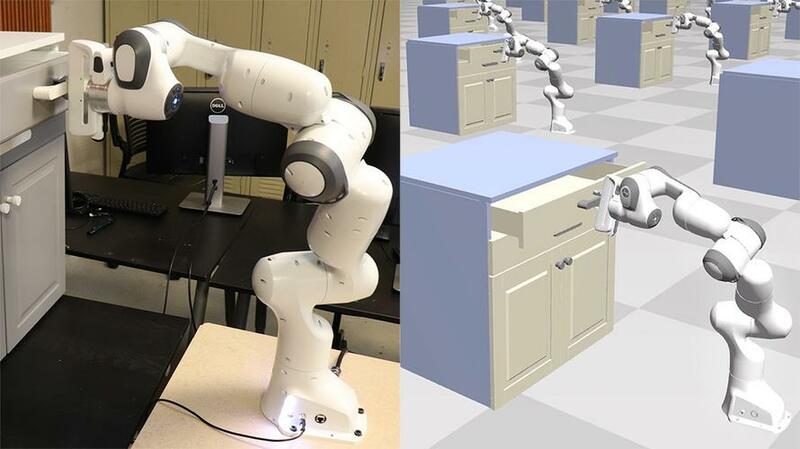 The "kitchen manipulator" uses AI to monitor its surroundings. It can detect and track objects, as well as remember where doors and drawers are in the kitchen, Nvidia said. If the robot is completing a task, it can even open and close drawers to retrieve an object. "We want to develop robots that can naturally perform tasks alongside people," said Dieter Fox, who is the lead reasearcher on the project, in a statement. "To do that, they need to be able to understand what a person wants to do and figure out how to help her achieve a goal." After the robot scans the objects in its surroundings, that data is then used to generate "continuous perceptual feedback" of where they are if moved. That information enables the robot to make "real-time, fast, reactive, adaptive and human-like motion," Ratliff said. The goal for the robot is to effectively wash dirty dishes, retrieve ingredients and cook alongside humans. "One of the most challenging collaborative domains is the kitchen environment," Ratliff explained. "So we’ve chosen that as a test bed so we can develop a lot of these technologies, study the system in this space and take a lot of what we learn and apply them across the board to these other collaborative domains." The robots could also play a role in factories, hospitals, and helping people with disabilities. However, for now, it seems that NVIDIA Research has their eyes on disrupting the kitchen, more specifically, the installation and implementation of robot chiefs that will undoubtedly disrupt service industry jobs.